I want to share with you today a recipe from the archives. 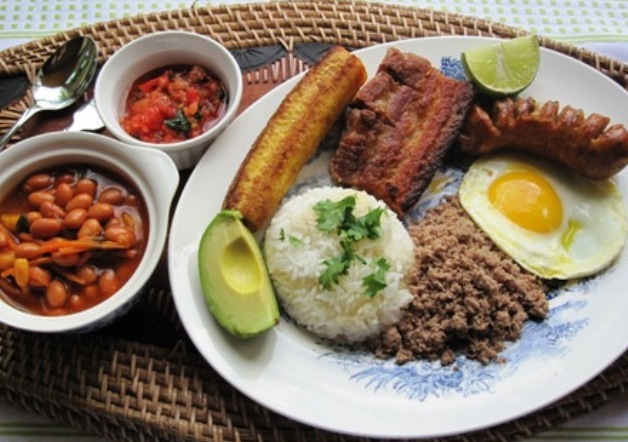 Bandeja Paisa or Paisa Tray is my favorite Colombian dish and the most popular dish in Colombia. 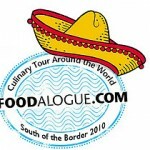 My friend Joan from Foodalogue is having a virtual culinary tour and this week she is going to Colombia. 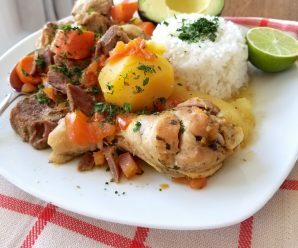 After much thought about which recipe I should make for this stop, I decided to post this dish because it is the most popular meal in Colombian cuisine. I hope you enjoy it as much as I do. Tangled Noodle- We eat Bandeja Paisa for lunch or dinner! The powdered beef you can eat it with eggs for breakfast or for lunch and dinner with rice or vegetables. I would be so in trouble with this dish in front of me. Why? because I would want more helpings of it all! In Dallas, where I am from we had so many go restaurants that served colombian and cuban dishes! Yum! What an awesome meal! Everything looks so good!!! This looks wonderful, I can see why it’s a favorite Clombian dish. It has such a variety of tastes and textures! I would love some for lunch right now! That looks so delicious…and so bad for my diet. In my research on Colombia, I read somewhere than that although it’s the ‘traditional’ dish, most Colombians no longer make this at home anymore (health reasons inferred) and only eat it when they go to a restaurant. A-once-in-a-while-treat. Yummy, love the plantains,..and the avocado, and the beans……and the eggs. All made and created in perfect harmony! Looks so delicious…I would have to clean my plate. When I saw the title “My favorite Columbian dish” I couldn’t wait to see what you’d post because every dish you’ve posted here has always looked amazing to me. But I can see why this would be a favorite – it has that comfort-food sound to it…which makes me realize how awesome it is to have plantains as part of comfort food! What’s not to like with this recipe. Its got everything going for it. Thanks for sharing. Wow, what an amazing meal! 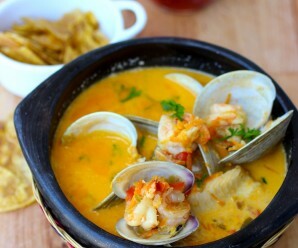 I see why it is your favorite Colombian dish – everything looks so yummy! For our stop in Colombia during the Culinary Tour, I made Pan de Yuca (based on your recipe, had to replace the cheese, though). So maybe we can have some Bandeja Paisa together, and a little later we share Pan de Yuca and hot chocolate. When do Colombians eat their main meal? In the evening? 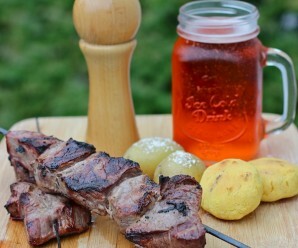 Then, we might have to switch it: first, pan de yuca, and a little later bandeja paisa. How does that sound? I followed the posts until I reached the recipe…”mountain tray”. That is a heap of food, Erica! Yowee. It all looks delicious if I could have one bite of each thing. Is this what you eat for breakfast? Because I would love have if for breakfast. The Filipinos would really love this. Divina- For breakfast we eat calentado (Beans and Rice dish with eggs and meat).It is delicious. Thanks for sharing your delicious recipes. I was inspired to try making your Cassava Cake. 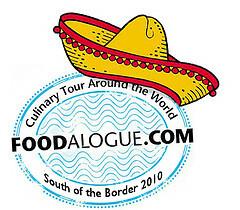 We don’t have any Colombian restaurants here, but now I can visit your site and get a hit of Colombian cooking. The hogao sounds amazing! I imagining something like a picante, is that correct? Lara- It is a tomato- onion sauce! Not spicy! Paisa tray dish is typical of Antioquia and has already been adopted by most Colombians. It is very complete and nutritious, usually eat at lunch. You can also add morcilla and chorizo.